Hidden holes in the center allow you to see through it! The gaping empty eye socket of this prosthetic is so disturbing, it will really freak out your friends. 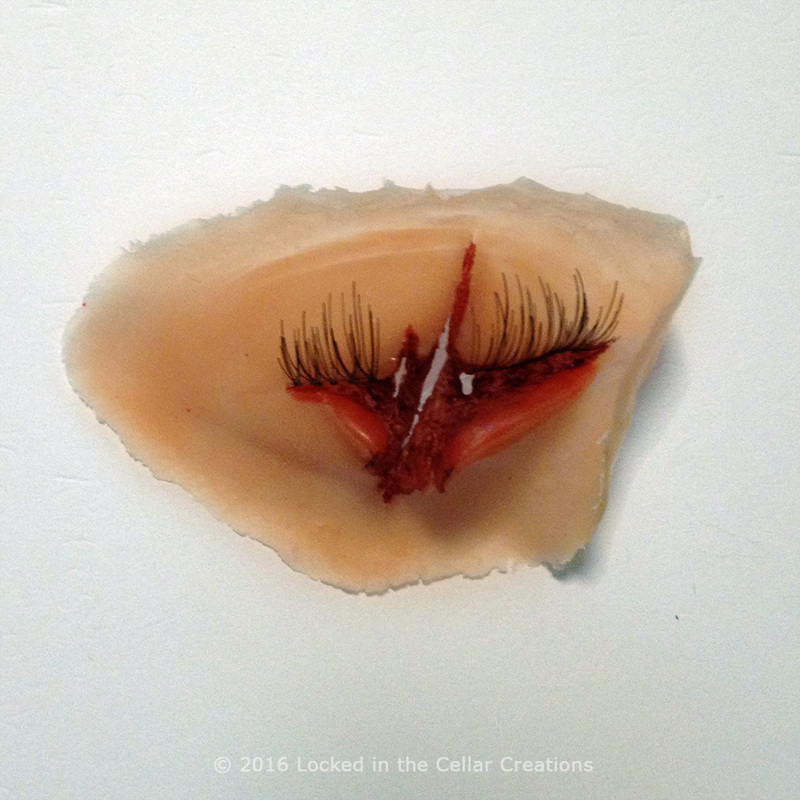 The pieces of eyelash attached to the torn eyelids add that extra level of realism and horror. The inconspicuous holes in the centre allow you to see through, without taking away from the realism of the make-up. 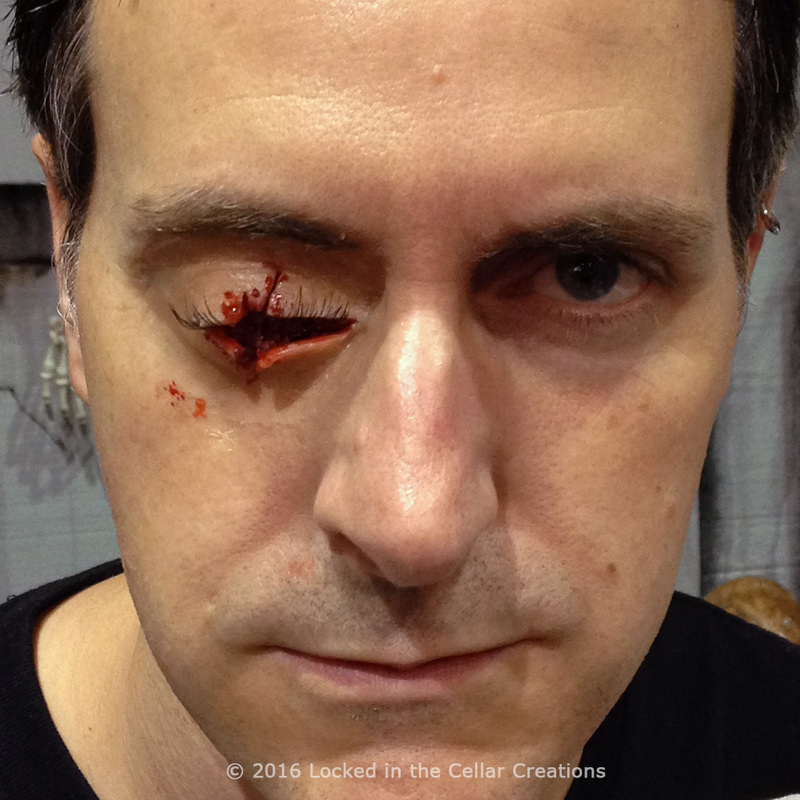 This Missing Eye Prosthetic is great as an addition to a zombie costume, or as a stand alone trauma make-up. Also available with eyeball dangling out! One Missing Eye Prosthetic (right eye only). We designed this prosthetic to fit the average adult eye socket, and the inner edge curves to fit on the bridge of your nose. We use soft, flexible latex that we pre-tint. It goes translucent on most skin tones, yet we recommend having makeup in your own skin tone handy for the protruding parts. – Hand-crafted, highly detailed latex appliance with 3 holes hidden in the centre, so you can see through and have depth of field. – Super thin edges for easy and invisible blending. 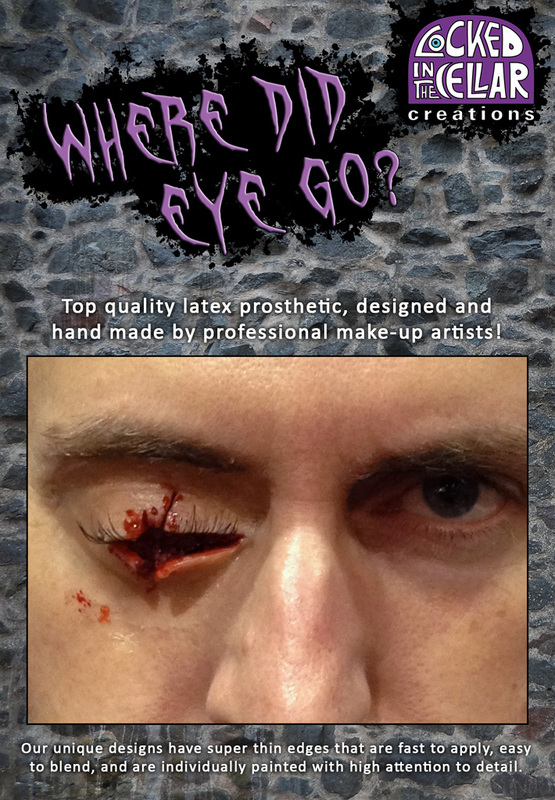 – Injury painted with high attention to detail, including realistic eye lashes. – Full application instructions included. – Liquid latex, adhesive and theatrical blood required for application. NOT included. 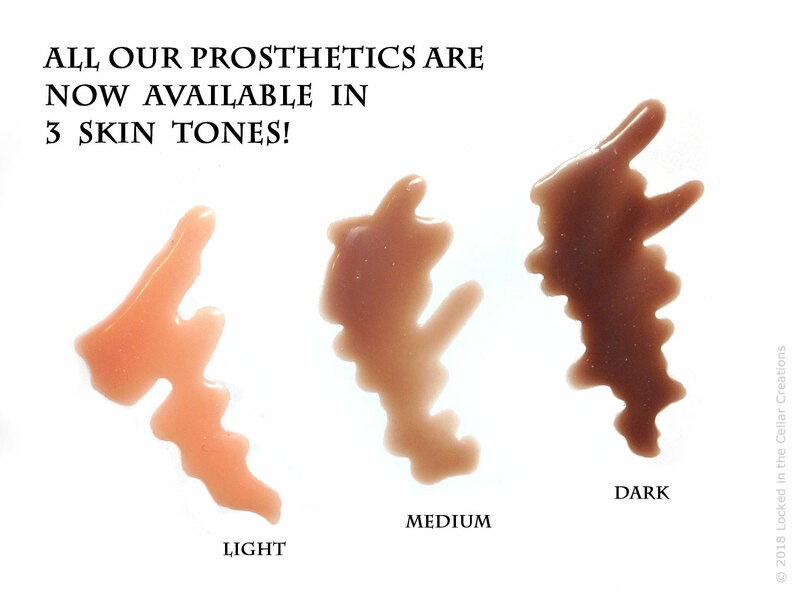 Check our Prosthetic FAQ for instructions and tips & tricks on how to get the best results blending in prosthetics. Even though you can see through the prosthetic, your peripheral vision will be limited due to the concealed nature of the holes. Therefore we do not recommend wearing this prosthetic while driving, operating machinery or other potentially dangerous activities. Everything as advertised. It is a solid latex that weathered an entire LARP event. Amazing prosthetic! People actually believed that I was missing an eye! Fast shipping as well. Great handmade item. Superb craftmanship! 5 stars!